What is an Anesthesiologist Assistant (AA)? 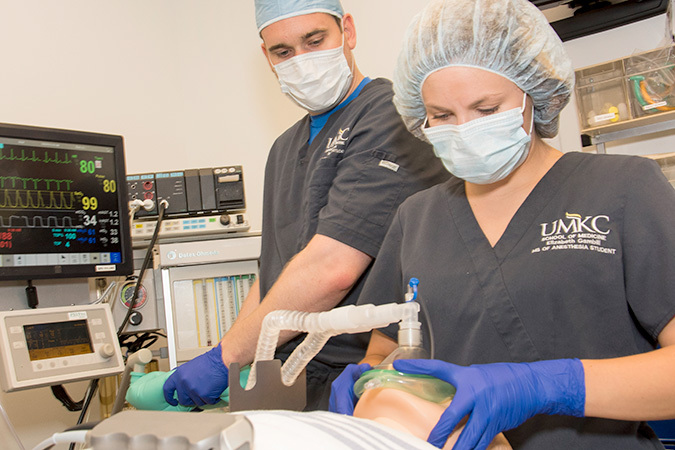 Anesthesiologist Assistants (AAs) are highly skilled health professionals who work under the direction of licensed anesthesiologists to implement anesthesia care plans. AAs work exclusively within the anesthesia care team environment as described by the American Society of Anesthesiologists (ASA). All AAs possess a premedical background, a baccalaureate degree, and also complete a comprehensive didactic and clinical program at the graduate school level. 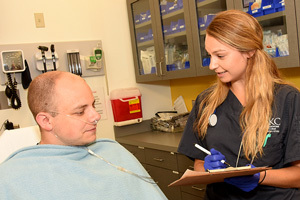 AAs are trained extensively in the delivery and maintenance of quality anesthesia care as well as advanced patient monitoring techniques. The specific job descriptions and duties of AAs may differ according to local practice. State law or board of medicine regulations or guidelines may further define the AA job description. Anesthesiologist assistants work as members of the anesthesia care team in any location where they may be appropriately directed by legally responsible anesthesiologists. The AAs most often work within organizations that also employ nurse anesthetists, and their responsibilities are identical. 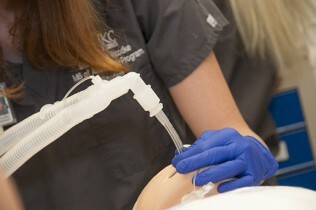 Experience to date has been that AAs are most commonly employed in larger facilities that perform procedures such as cardiac surgery, neurosurgery, transplant surgery, and trauma care, given the training in extensive patient monitoring devices and complex patients and procedures emphasized in AA educational programs. However, AAs are used in hospitals of all sizes and assist anesthesiologists in a variety of settings and for a wide range of procedures. As of 2006, starting salaries for recent graduates ranged from $95,000 to $120,000 for the 40-hour work week plus benefits and consideration of on-call activity.